Despite the fact that 79% of domestic trips are for leisure purposes, most families realize that travel isn’t very relaxing at all. Though you might be hoping to get some much-deserved rest and relaxation while you’re on vacation, the stress of planning, traveling, and coordinating can make you so anxious that you can’t even appreciate your surroundings. 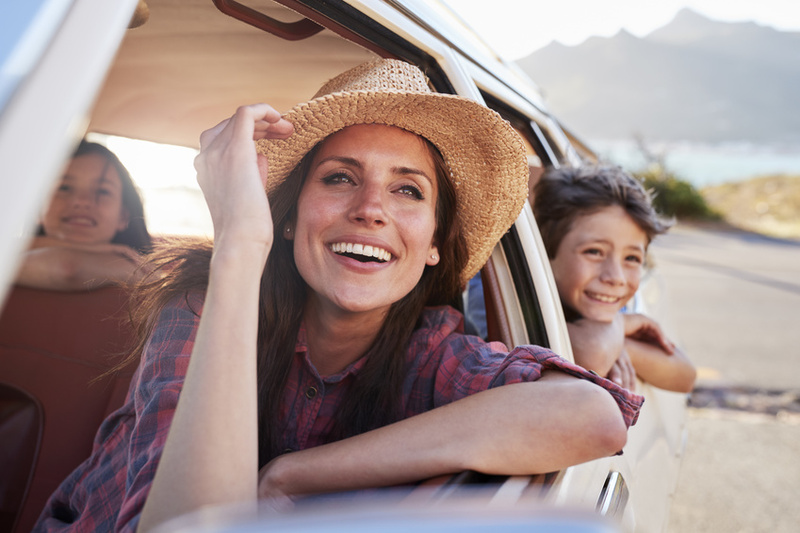 If you’ve got a family trip coming up and want to reduce your stress levels as much as possible, you might want to check out the following helpful tips. Make a packing list: The idea of leaving important items behind or paying astronomical fees for overweight luggage can make your heart rate go up in a mere instant. That’s why it’s important to start packing early and make a list of everything you’ll need to bring on your vacation. That way, you’ll have a visual reminder of the essentials and can think more clearly, even amongst all the clutter. This can be an excellent way to keep track of what every family member is bringing and make adjustments if needed. Anything you can do to avoid those feelings of panic and dread while packing and traveling will be to your benefit. Try to be flexible: There are some parts of your vacation itinerary that you can’t leave to chance, such as flight reservations, restaurant bookings, and event tickets. But resist the urge to schedule everything to the last second. If you’re a natural planner, doing so might make you feel more at-ease before you leave. However, it can be a real cause of stress once you’re actually there. Allow yourself a bit of wiggle room and permission to deviate from your schedule if need be. Keep in mind that the well-being of your family (including yourself!) is more important than trying to squeeze in that last sight-seeing tour or museum. Plan around routines: That said, there are things you shouldn’t deviate from, particularly if you’re traveling with younger children. Infants and toddlers do need their rest and can get cranky if they’re being forced to do too much; straying from their normal meal times can also result in a meltdown. If at all possible, try to book your flights and schedule your activities with these routines in mind. That’ll give you some framework for your days and will make both kids and parents much less grumpy. Give yourself plenty of time: Generally, it’s a good idea to arrive at the airport at least 90 minutes ahead of domestic departures. For holidays and international flights, even more time is required. When you’re going on a family vacation with younger children or if you’re nervous about getting through security, you may want to give yourself as much breathing room as possible. 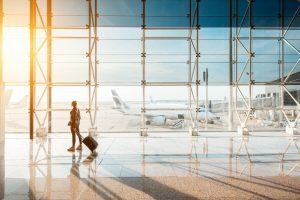 Larger airports with multiple terminals can be confusing, particularly if you have to deal with last-minute gate changes. If you end up having extra time, that might even to be everyone’s benefit; you’ll have a chance to grab some food, read, listen to music, or relax before takeoff. Plan for airplane storage issues: Always operate under the assumption that the overhead baggage compartments will be full. If you plan ahead to gate-check your luggage or are able to store it under the seat in front of you, you won’t feel your anxiety levels rise when you realize you’re on a full flight and you’re in the last boarding group. (Of course, if you’re able to board the plane early, this might be a plus for your family anyway.) Be sure to transfer any essentials from gate-checked bags into your personal item just in case! When it comes time to plan your next vacation, you’ll relieve some stress if you #flyCRW with your family. We aim to make the travel experience convenient and hassle-free. And with our array of amenities and airline carriers, we’ll help start your trip off on the right foot! Whether you’re a fan of the song or not, Mr. Denver got it right: West Virginia is a beautiful place. With around 96% of hard working Americans believing that vacation time is important, West Virginia has a little something for everybody. We’re not sure who the other 4% of those people are, but we doubt they’ve seen the sprawling forested parks, charming historic towns, or bustling cities this splendid state has to offer. Here are three reasons to find a flight, book a hotel, and take a trip down to visit. History Surrounds You. West Virginia’s heritage is unique in United States history as it is the only state to have been split in half by the Confederate secession. The Civil War was so politically polarizing in the state of Virginia that, after delegates from the western side voted against seceding from the nation, a conference was held in Wheeling to determine the foundation of a new state of their own. You can visit the Wheeling National Heritage Area to see the birthplace of West Virginia and learn more about its past. History can be wild and wonderful, too. Discover West Virginia’s lively past on your next trip. From battlefields to heritage museums, WV is a must for history buffs. So, what are you waiting for? Book your hotel today and #flyCRW. Heaven awaits you on West Virginia’s country roads. As you might imagine, airports are big business. They are generally complex buildings that can cost billions of dollars to build and millions of dollars to operate; however, the financial impact of airports on the city, county and state are even larger. For example, Yeager Airport generates over $174,662,309.00 for the state, according to the Economic Impact Study completed by the Center for Business and Economic Research at Marshall University in 2016. To truly understand how airports are able to have such a massive economic impact, you first must understand how airports actually work. Generally financed through municipal bonds, commercial airports are publicly owned. What the airport actually owns though, are the facilities. Airport bonds and government grants are other sources of funding that many airports also require; however, once an airport becomes operational, it is generally a self-sustaining business. While the airport owns the facilities, it makes money by leasing them to different entities, including retail shops, airlines and air-freight companies. Another source of income for airports is charging for fuel and parking. There are also very small fees and taxes on airline tickets that can generate money for the airport. Who Works For The Airport? Airports are known for being huge job creators. But, who actually works for the airport? An estimated 90 percent of those working in an airport work for private companies. The remaining ten percent account for those who actually work for the airport. This includes administrators, maintenance workers, and safety crews. Air traffic controllers do not work for the airport, but are employees of the federal government. The inner workings of an airport is a complex ecosystem, but the result is a huge financial impact for the surrounding area and the state. 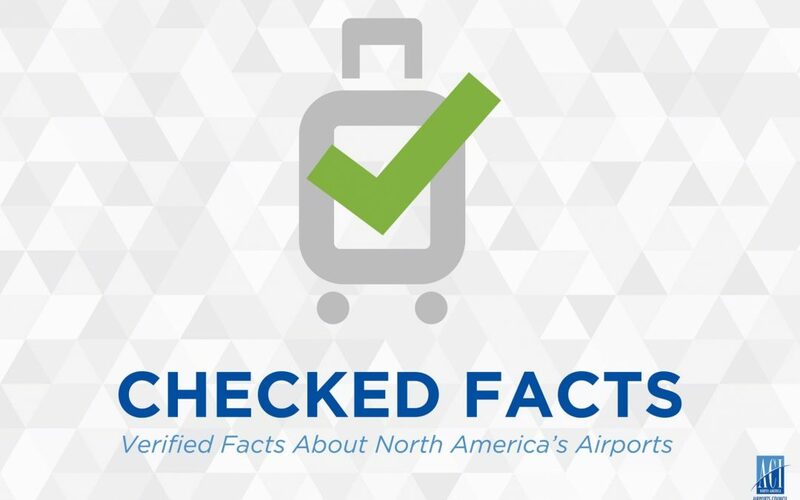 The impact of an airport extends far and wide, providing significant job opportunities, attracting additional business opportunities and offering convenient travel options, allowing for population growth. All things that help a community and state continue to grow and thrive! Although 79% of domestic trips are taken for leisure purposes, that doesn’t mean they’re all fun and games. Even booking your flight can be overwhelming — particularly if you aren’t sure whether you’re getting a good deal on air travel. Should you book now and risk paying too much, or wait a little while longer and potentially miss out on the ideal flight? This handy guide will give you a better idea of some general rules to follow. There are differing opinions as to what day you should buy your tickets and which days of the week are best for travel. Because computers use complicated algorithms to determine air travel prices, it’s hard to say precisely which days have the lowest fares. Flash sales, though, are determined by actual human beings — and these often occur mid-week. Tuesdays, Wednesdays, and Thursdays are typically thought to be days that offer the least expensive tickets. That said, the difference won’t be that much. On average, you might save $10 when flying domestically. The days of your trip’s departure and return will probably matter even more than the day on which you book your tickets. Avoiding the most crowded travel days (Friday and Sunday) will save you a bit, for example. The time in which your trip takes place — and the amount of time between when you book and when you depart — will have a much more substantial impact on the price you pay for air travel. The winter holidays and spring vacations make for busier travel seasons. That’s why you’ll need to really focus on booking trips during this period well in advance. For travel within the U.S., booking your ticket 70 days in advance, on average, often yields the best results. But this can vary a bit depending on the time of year you’ll take your trip. If you’re traveling in spring, booking in advance pays off: 90 days in advance is seen as the ideal time to make flight reservations during this time of year. When traveling in fall or winter, 60-70 days ahead of time is usually ideal. Just keep in mind that traveling during the holidays is going to be pricier no matter when you book. 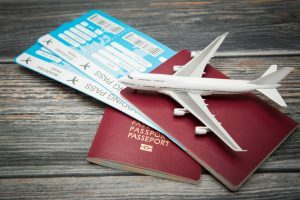 And while summer is actually the most popular season for traveling (with July being the most popular), August and September usually offer some very reasonable airfares. You can afford to wait a little longer, booking your trip 45-50 days in advance during this season. One 2018 airfare study divided airfare booking periods into “zones,” ranging from very early to very late. Determining the ideal zone for your needs can help you plan and potentially save. The “first dibs” period takes place 169-319 days in advance of travel. You will definitely pay more when you book during this period, since carriers adjust for better deals later on. But buying this early can have its advantages, as you’ll have a better choice of flights and seats. This can be a plus if you’re traveling with a larger group and need to get on a specific flight all together. The “peace of mind” zone takes place 122-168 days in advance and is ideal for those who experience anxiety when booking tickets. You’ll save money (though not as much as you could) and it can allow you to alleviate worries and lock in your flights with plenty of options available. The “prime booking window” is the zone to aim for when you want to save on air travel. Book 21-121 days in advance and you’ll likely be able to snag a bargain. You may not always get the best flight times or seats, but thrifty consumers will like the promise of a deal. Beyond the 20-day mark, you’re taking a gamble. Though deals can be found here and there, fares will be higher and availability will be scarce. We hope this comprehensive guide will help you save on your next vacation. Consider flying out from our airport to ensure your trip goes smoothly from start to finish. Born and raised in Charleston, WV, I was blessed to be afforded an opportunity that many of my fellow Mountaineers born in the 1970’s and forward were not offered: the chance to return home to West Virginia. Regardless of whether my peers and those immediately preceding us stayed in West Virginia after high school, countless people — countless native West Virginians — were forced to leave a piece of their heart in our state’s mountains as they continue to make the all-too-familiar drive to live in another state. West Virginia’s current economy indiscriminately forces blue collar and white collar workers to leave their families and the state they love for work elsewhere. Many of those who choose to stay are forced into low paying jobs with no hope of good career progression and retirement. John Denver’s “Take Me Home, Country Roads” resonates in the hearts of Mountaineers around the world because it hits so close to home: you can take a Mountaineer out of the heart of West Virginia but you can’t take West Virginia out of the heart of a Mountaineer. West Virginians want West Virginia to truly be “Almost Heaven” to all — and for the State to experience an economic and social revival that causes native West Virginians and others to literally come flying back. To make that vision a reality, one must look no further than the challenges overcome by Yeager Airport and its vision to be part of the solution. For West Virginia to move forward, its economy must be invigorated, and it must provide a higher number and quality of jobs for new and old Mountaineers alike. As the West Virginia airport, and gateway to the world, we will play a critical role in the economic revitalization of West Virginia. To create a vision for where one wants to go, one must first see where one is. Since the 2015 slope failure, Yeager Airport Director Terry Sayre and his team have worked tirelessly to remediate the collapsed materials and find options for a rebuild. Thankfully, Yeager Airport has received a $13.8 million dollar Federal Aviation Administration (FAA) grant to fund construction of a retaining wall and Engineered Materials Arresting System (EMAS) bed, which will increase landing and takeoff distances. Simultaneous to that remediation, restoration, and revitalization, our West Virginia airport is updating its Master Plan with an intentional focus on future opportunities. Once updated, the Master Plan will detail long-term capital planning projects to position Yeager Airport to play a vital role for the entire state by providing or continuing to expand access to the world economy through scheduled airline service with four airlines; a general aviation facility with on-site United States Customs that serves as a world class terminal for business travelers; and a home for the West Virginia Air National Guards 130th Airlift Wing. Yeager Airport’s vision isn’t centered on planes or money — but people. The vision for our West Virginia airport prioritizes the creation of new jobs. Yeager Airport’s leadership envisions an aviation school created at the general aviation area where students can take classes in professional flight, aviation management, aircraft mechanic certifications and other related courses. The airport and National Guard air base will be full of students learning in a hands-on learning laboratory to complete internships and earn a living with job opportunities upon graduation. Currently, Oak Hill High School has an outstanding program in aerospace engineering that could be replicated in other West Virginia schools, thus creating a pipeline of students for the aviation school at the college level who can then apply their education and experience at home in West Virginia. Yeager Airport currently provides convenient air service options on American, Delta, and United airlines to almost anywhere in the world which, while not yet fully realized, makes the state more attractive for companies considering doing business here. 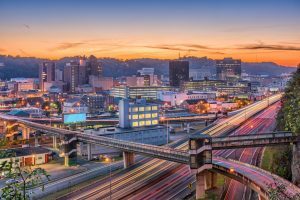 The recent addition of on-site United States Customs and the ability to handle international general aviation flights also makes West Virginia a more attractive option for business. With a pipeline for aviation related jobs, Yeager Airport and the communities it serves will work together to attract aircraft maintenance and repair facilities. Additionally, capitalizing on West Virginia’s continuing legacy of service to her country, Yeager Airport envisions strategic partnerships with those aerospace engineering and aviation companies who serve the United States military. Yeager Airport envisions its runways being extended to meet the air service and aircraft demands for the next 20 years. Like other industries, the airline industry is constantly changing. The latest trends include the reduction and retirement of smaller turboprop aircraft and even 50-seat regional jets. Yeager Airports leadership understand that — in the long-term — the airline industry will move toward regionalizing its services and “up-gauging” to larger 64-70 seat regional jets in markets like Charleston. Therefore, Yeager Airport must ensure its airfield meets the needs of these aircraft, so that airlines are not forced to take on weight penalties that make flights less feasible economically. Additionally, the runway must meet requirements for future aircraft flying to forecasted cities where our service may be established in the next 10 years. Land currently owned by Yeager Airport situated in Coonskin Park– combined with the aforementioned runway improvements — will create many acres of flat land that will provide opportunities for diverse use. Such land could be used for baseball or soccer fields or other athletic complexes, plus a revitalization of Coonskin Park’s shelters, trails, and other recreation assets. General aviation plays a critical role in the state’s economy and should be capitalized on for future growth. Several years ago, Yeager Airport’s old crossing runway 15/33 was closed and is now a taxiway. Today, an opportunity exists to extend Eagle Mountain Road behind the general aviation to connect with the West Virginia Air National Guard base. Constructing a public road around the back of the General Aviation Area will allow our West Virginia airport to utilize approximately 25 acres of flat land that could be used for new hangars, air cargo, aircraft repair facilities, warehouses, shipping, and other aviation-related areas. The construction of such a road will also create a secondary entrance for the West Virginia Air National Guard base and provides more flexibility and protection against future Base Realignment and Closure (BRAC) rounds, which have threatened the base’s continued existence in the last decade. Yeager Airport’s partnership with the West Virginia Air National Guard is a great benefit for both organizations. The Air Guard provides 24-hour fire protection for all operations of the airport in exchange for leasing the base for one dollar a year. This arrangement allows the United States Department of Defense to keep the 130th Airlift Wing at Yeager Airport without paying to maintain their own airfield — a significant cost savings to local and national taxpayers alike. Yeager Airport envisions the West Virginia Air National Guard providing even more job opportunities than its 1,000. Further, Yeager Airport leadership is committed to look actively for opportunities to expand the Guard’s operations given that the men and women serving in the Air Guard provide vital service to West Virginians and Americans alike, especially during times of natural disasters, by serving as a FEMA staging area for the deliverance of needed relief supplies and equipment. The vision for Yeager Airport is larger than airplanes, runways, or buildings. The vision for Yeager Airport is to see the State of West Virginia and its people soar to never-before-seen heights of hope and prosperity. Then, West Virginia will truly be Almost Heaven.